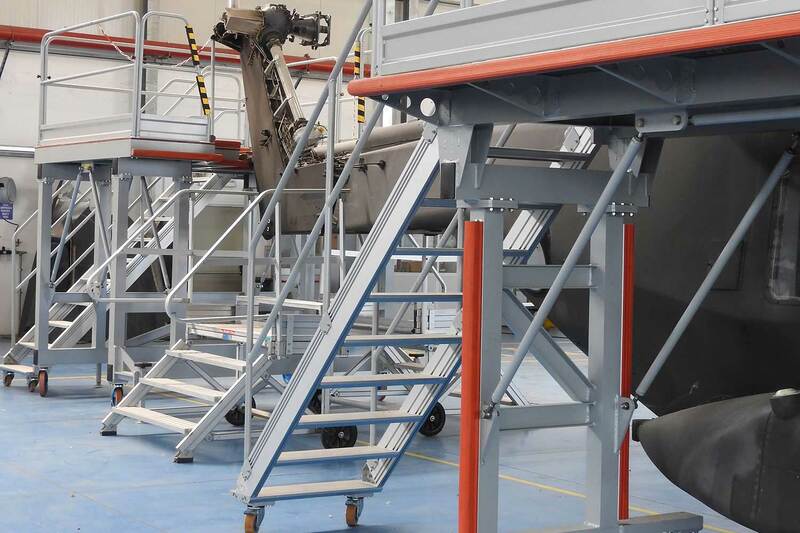 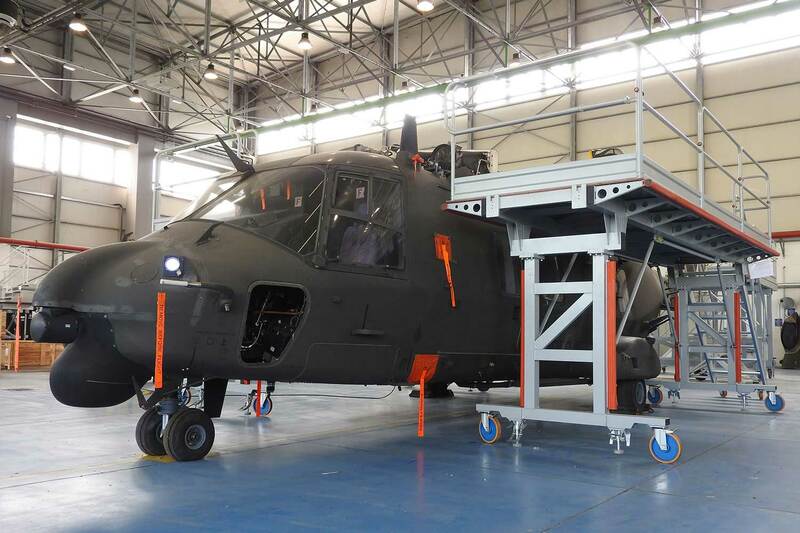 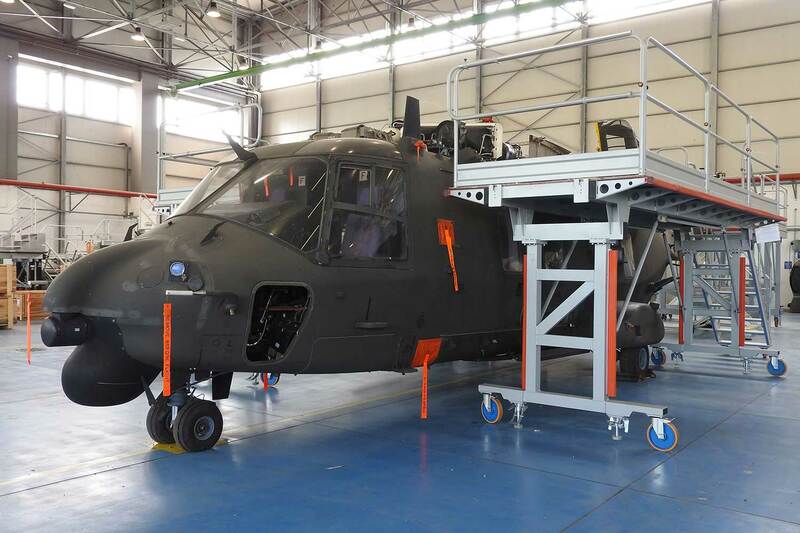 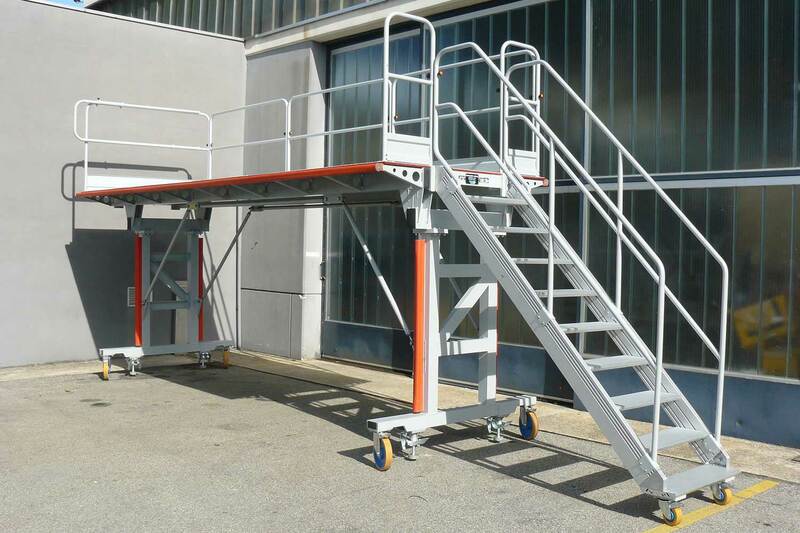 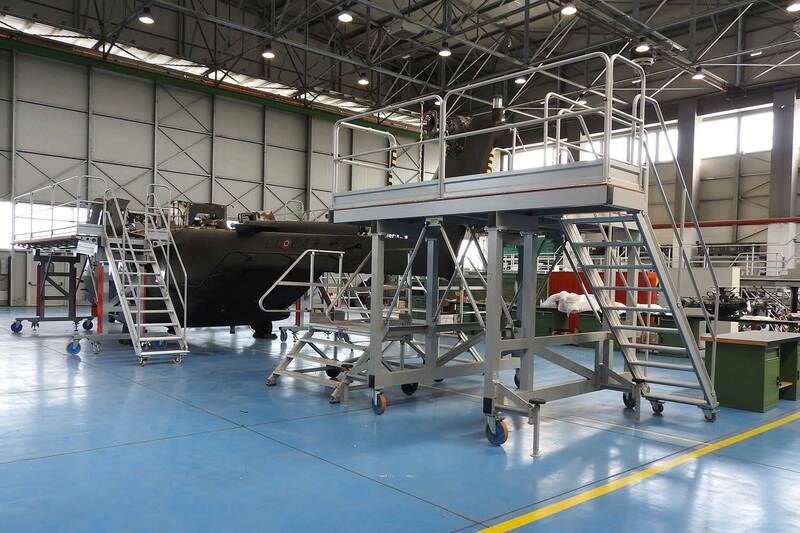 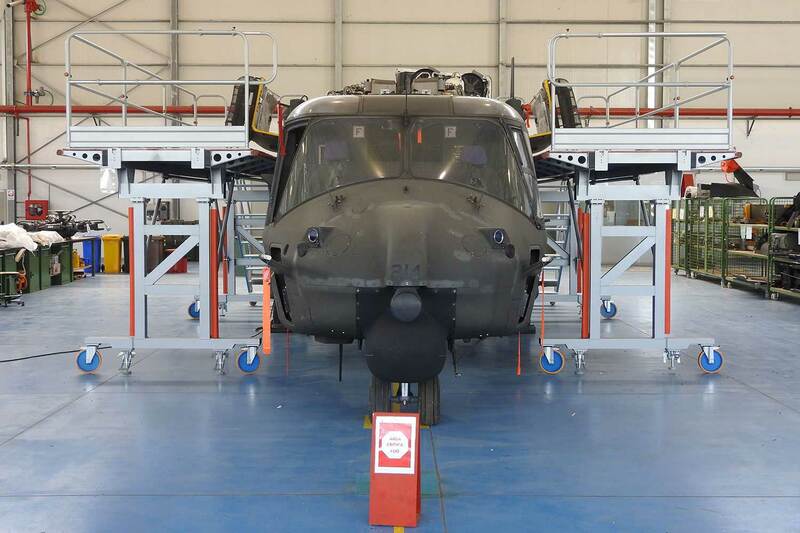 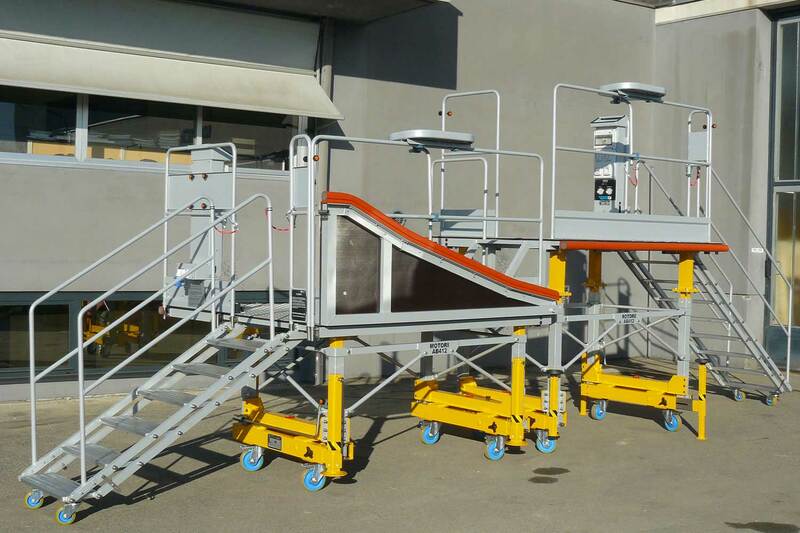 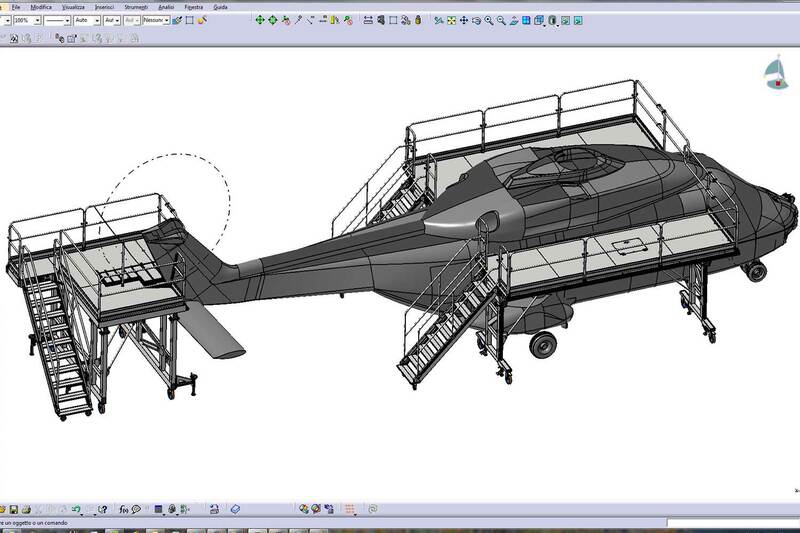 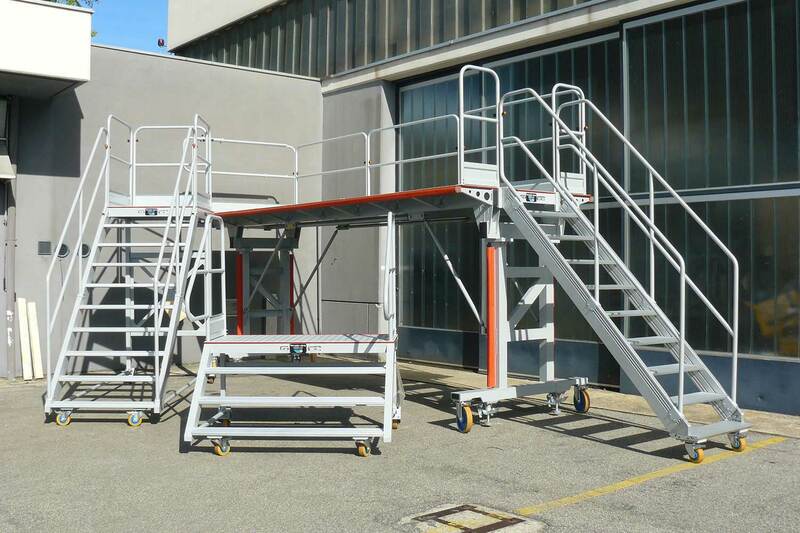 GB Barberi realizes maintenance platforms for use in close proximity of the aircraft. 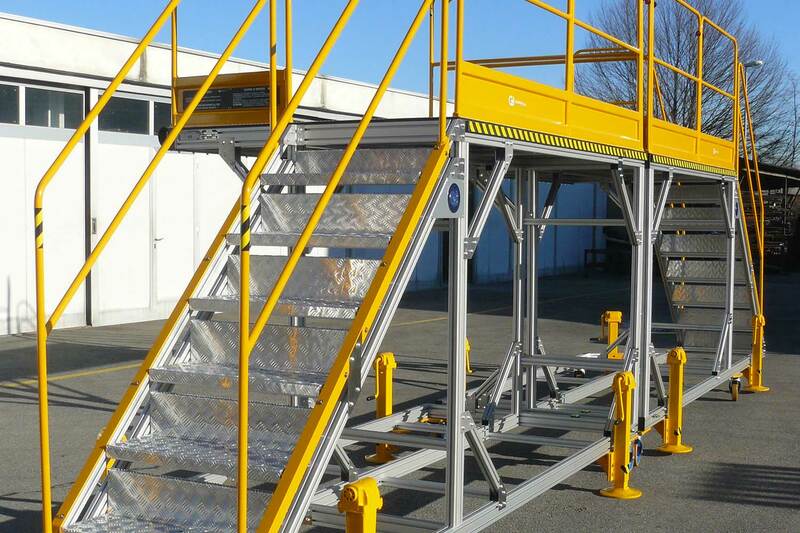 The platforms are created using extruded sections of modular aluminium, coupled using specific joints. 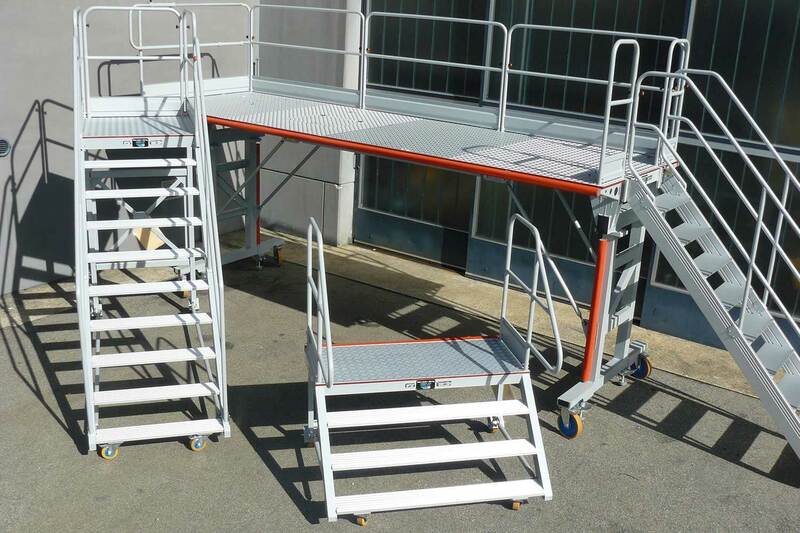 This modular system guarantees a much lighter structure, and consequently a platform that is easier to handle. 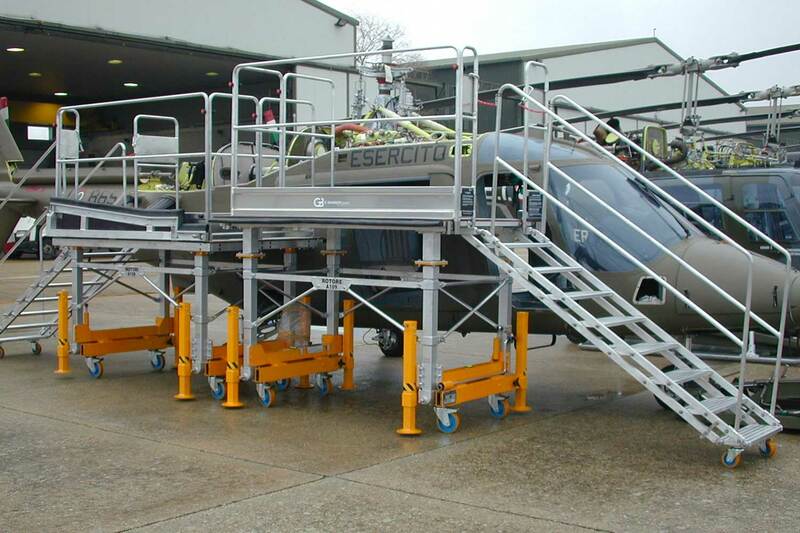 We also produce custom-made static and movable platforms for in-hanger use, remote use or on board ships fitted with ATEX system, to answer to fire safety measures and explosion in high-risk areas.